Established in 1991, Rare Parts is the place to go for your motoring needs. 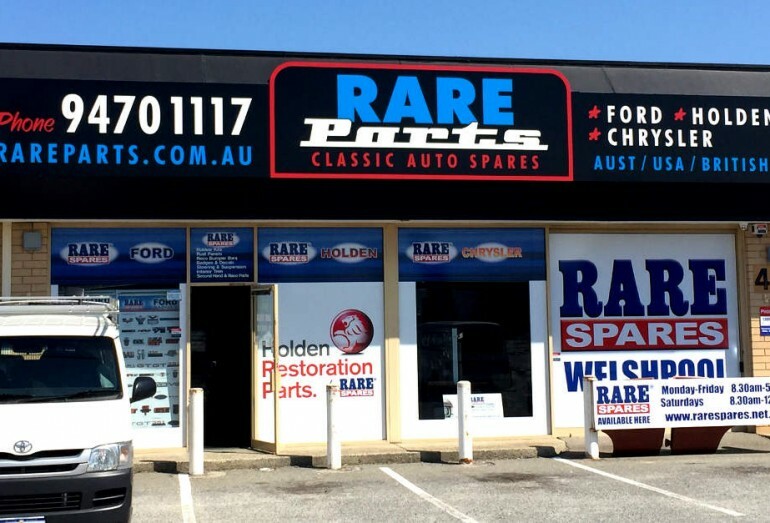 As one of Australia’s leading suppliers of renovation and restoration car parts, Rare Parts pride themselves on their knowledge and customer service to ensure your auto project is smooth motoring, all the way. Professional restorers know that the team at Rare Parts will go above and beyond to track down that critical part. Project renovators know that they’ll be given the best advice on what products are required and when. Those new to the world of renovation and restoration can rest assured that the Rare Parts team cares about your project not just the contents of your wallet. Easily located in Welshpool, the shop stock parts for most makes and models including Holden, Ford, Chrysler, Chevrolet, Toyota, Mazda and Nissan. With over 70 years of combined experience in motor vehicle repair and restoration, the team at Rare Parts don’t just tinker, they are the real deal. Follow us on Facebook, Twitter or Instagram, or send us a message below.